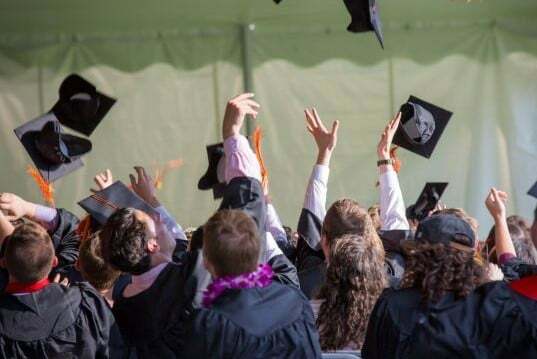 In this blog we talk about how graduates in England are leaving university with the highest debts in the developed world, thanks to a combination of tuition fees, studying and maintenance grants being replaced by loans. The average student will now finish their studies with a debt of more than £50,000. Arrears and Struggling to Budget. Higher education students often struggle to budget effectively when they move away to university. The higher cost of studying, student loans, books, food and accommodation expenses can be a daunting juggling act. Even with access to budgeting advice from the universities, many students still struggle. Graduates in England are leaving university with the highest debts in the developed world, thanks to a combination of tuition fees, studying and maintenance grants being replaced by loans. The average student will now finish their studies with a debt of more than £50,000. The ability of students to manage their finances effectively is called into question with figures showing that more than 17 000 students living in halls of residence fell into rent arrears in 2017, a significant rise of 16%. This impacts on the ability of universities to effectively manage their housing stock, make improvements to their properties and accurately forecast their cash flow. This, coupled with Brexit and the likely reduction in the number of high-fee students coming to the UK to study, means that universities more than ever need to proactively manage their finances. Managing arrears can be incredibly time consuming for universities, using valuable time and resources that could be better employed in other areas. One approach to managing debt is to minimise the risk of the payments becoming late in the first place. Credit control systems help to manage this and are used by universities to tackle this problem. If problems can be identified before they snowball, then there is a greater likelihood of the monies being recovered. If credit control systems are in place, but there is a still a debt problem, then it is time to look at the systems that are in place and see where improvements can be made. One way of alleviating the pressure and improving the systems is for the university to form a partnership with a reputable debt collection company who is experienced in both credit control and debt management. A reputable company will have a team of highly trained staff with all relevant legal knowledge and people skills required to manage their debt. Outsourcing the problem can be cheaper in the long run, freeing staff to work in other areas or departments, increasing overall efficiency. Working alongside a professional company who cares about your reputation as well as your finances means that the debt burden is reduced, the pressure is removed from staff and good relationships are maintained with the student body. Why not give Daniels Silverman a try? Our debt collection and credit control services are outstanding, and we have the experience to prove it. Find out more by visiting our website https://www.danielssilverman.co.uk and starting a webchat, or give one of our business development team a call on 0800 954 3632.